Flu season 2014 is starting and will last through the fall and winter. 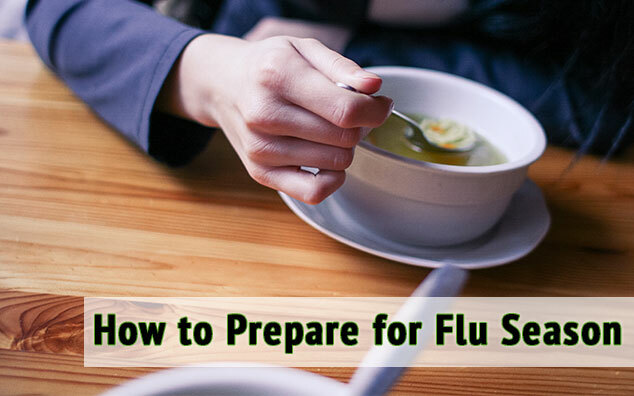 Although the flu spreads every year, the season is often unpredictable and varies from year to year. If you get the flu, you can get sick and can spread the flu to others at home, at work, and in the community. Symptoms of flu include fever or chills and cough or sore throat. In addition, symptoms of flu can include runny nose, body aches, headache, tiredness, diarrhea, or vomiting. It is best to plan to stay home if you are sick until at least 24 hours after you no longer have a fever (100 degrees Fahrenheit or 38 degrees Celsius) or signs of a fever (have chills, feel very warm, have a flushed appearance, or are sweating). This should be determined without the use of fever-reducing medicines (any medicine that contains ibuprofen or acetaminophen). By working together, you can protect your workforce while having a productive fall and winter. What can you do to protect yourself and others from the flu? 2. Try to avoid close contact with sick people. 3. Wash your hands often with soap and water. •CDC recommends a yearly flu vaccine as the first and most important step in protecting against this serious disease. 7. Be prepared in case you get sick and need to stay home. 8. Have medicines and supplies at home. •Have the following on hand: a supply of fever-reducing medicines that contain acetaminophen or ibuprofen, alcohol-based hand cleaners, tissues, and other items that may be useful and help avoid the need to make trips out in public while you are sick. 9. Learn about the flu and what you can do. To find out more about preparing for flu season 2014, go to www.flu.gov or call 1-800-CDC-INFO (1-800-232-4636). September 3, 2014 in Health, Healthy Lifestyle.